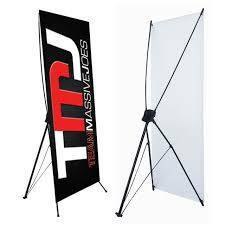 A light-weight, portable and durable banner stand that's inexpensive and easy to use. Can be set up in matter of seconds. 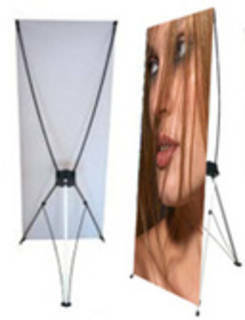 Measure 48"W x 79"H and the print material is 10 oz. econo gloss vinyl. Great for use in trade shows, exhibits and conference rooms.